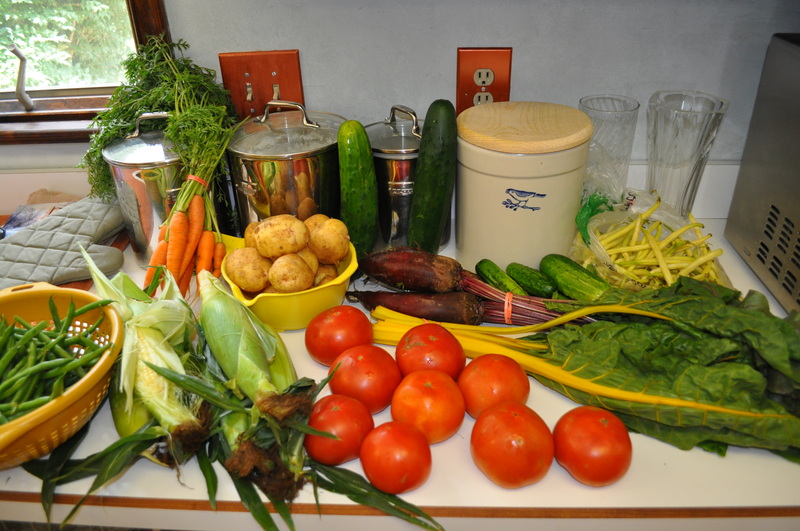 CSA Week Seven. The tomatoes finally arrived. It is officially summer. We got a bag of red tomatoes. OK, I got two bags because I swapped cabbage. Here is the list. I swapped to get the tomatoes so I could make gazpacho. Tomorrow at the Hospital market, I am hoping to find bell peppers. The only missing ingredient to make my gazpacho recipe. 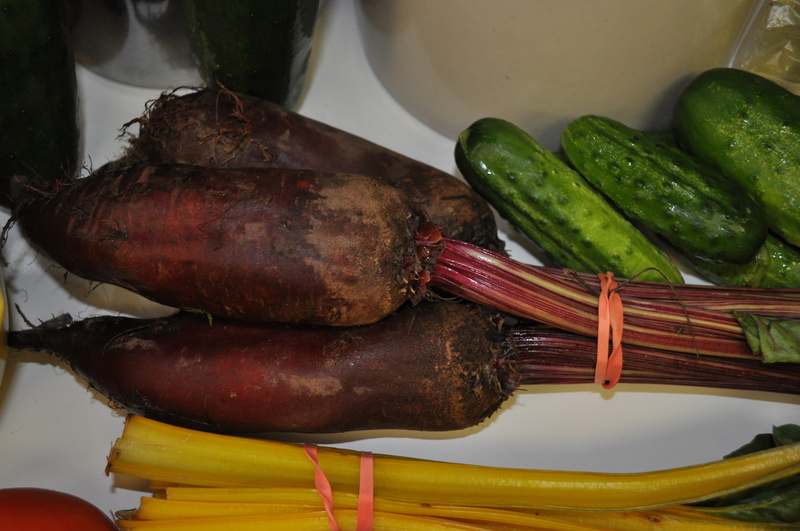 Check out these cylindra beets. They created a bunch of comments at the pick up site today. As for what came home today, quite a bit of it made it into dinner. Like my salad. 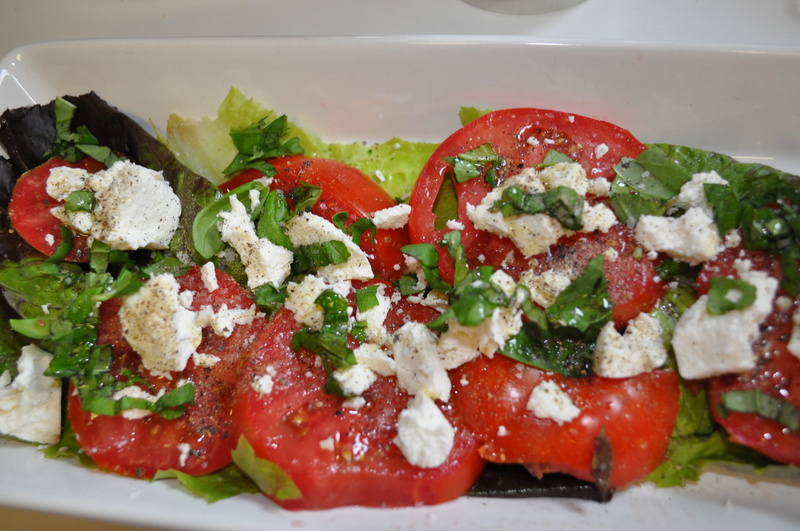 Sliced tomatoes, goat cheese, basil, salt, pepper and olive oil. Simple, lovely, summer on a plate. 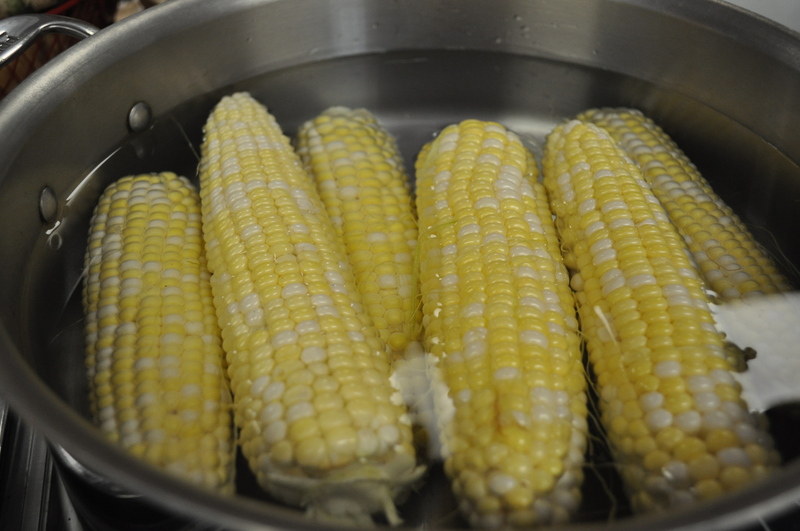 Oh, and of course, we devoured all six ears of corn. Corn on the cob, a salad, and a simple pounded chicken breast. Dinner. Loving summertime. And, Lancaster Farm Fresh Co-op. Posted in CSA, Food, Locavore and tagged cooking, CSA, Food, foodie, Locavore. Bookmark the permalink. 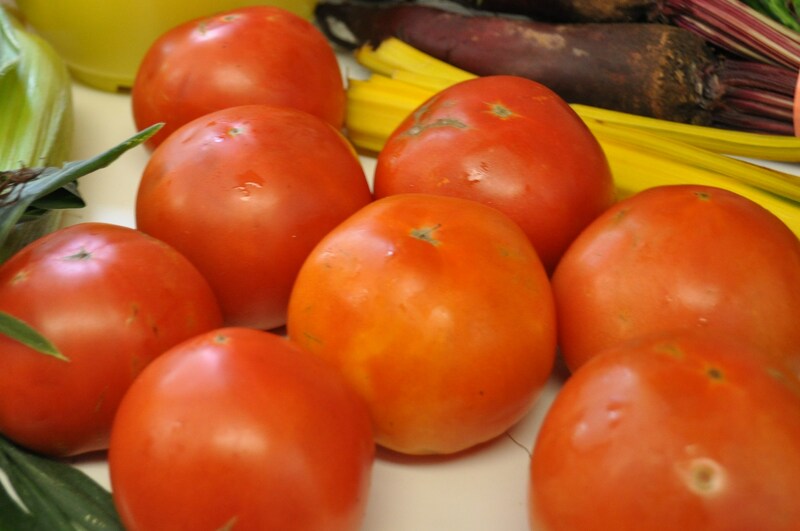 We got tomatoes this week too, first time in 7+ months. Delightful! My kids aren’t into fresh tomatoes, so they are ALL MINE.